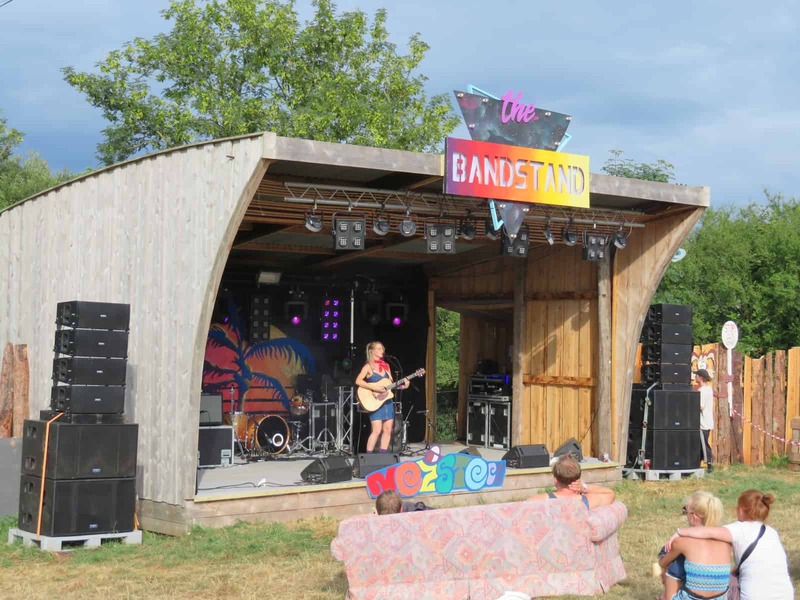 Based in rural Herefordshire, the 20th Nozstock – the Hidden Valley Festival has just come to a close. It’s a relatively small festival with some big names and a massive atmosphere. But, is it suitable for families with young children? We headed there at the weekend to find out. Twenty years ago on a working family farm, a tiny festival was born. It started with friends, family and acquaintances and grew over the years into something much larger. These days, there are nine stages with all different types of entertainment. 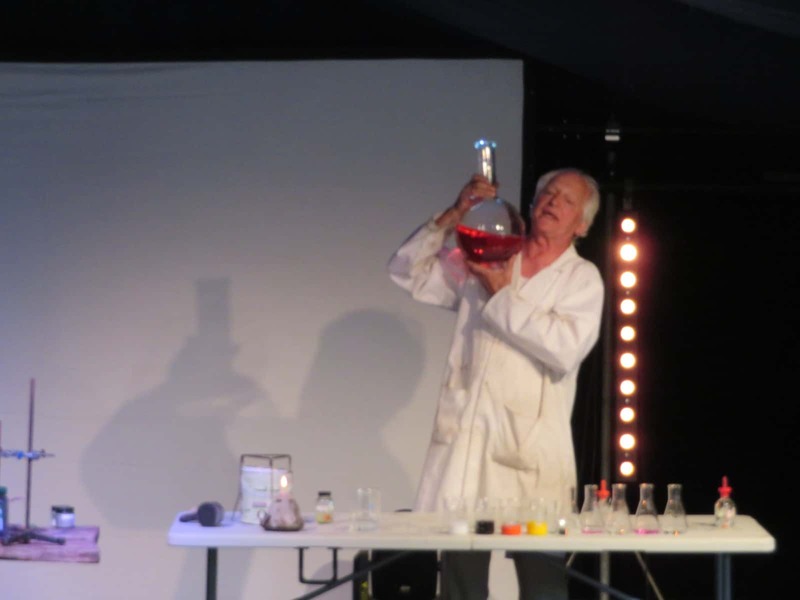 From music of numerous different genres through to comedy, culture and science. The Hidden Valley is still at the heart of the festival. You reach it along a country road, turning up a farm track to park and walk through a vast campsite before reaching the venue. Far from being a flat, uninviting field, the festival is woven into the hills and valleys of the natural landscape. Get caught up in the atmosphere of the Orchard Stage. 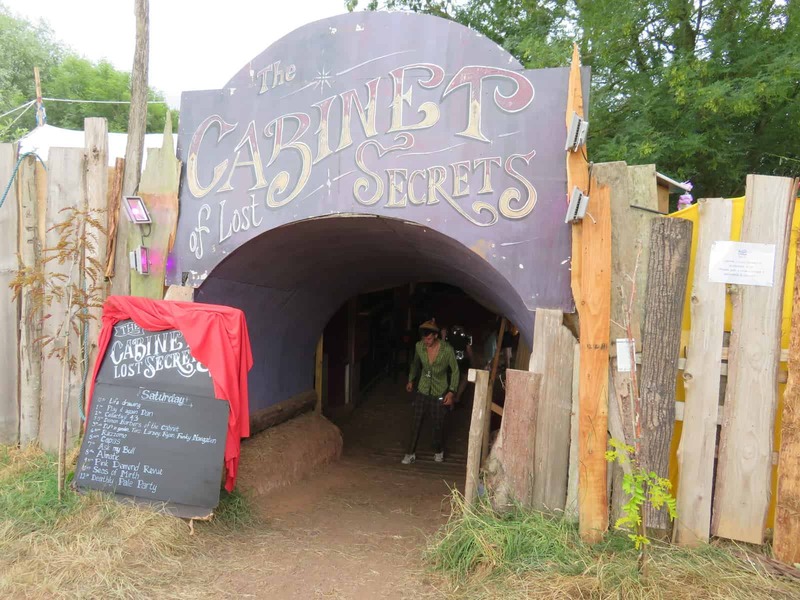 Head through a secret tunnel to dance in front of a hidden stage in the Cabinet of Lost Secrets. 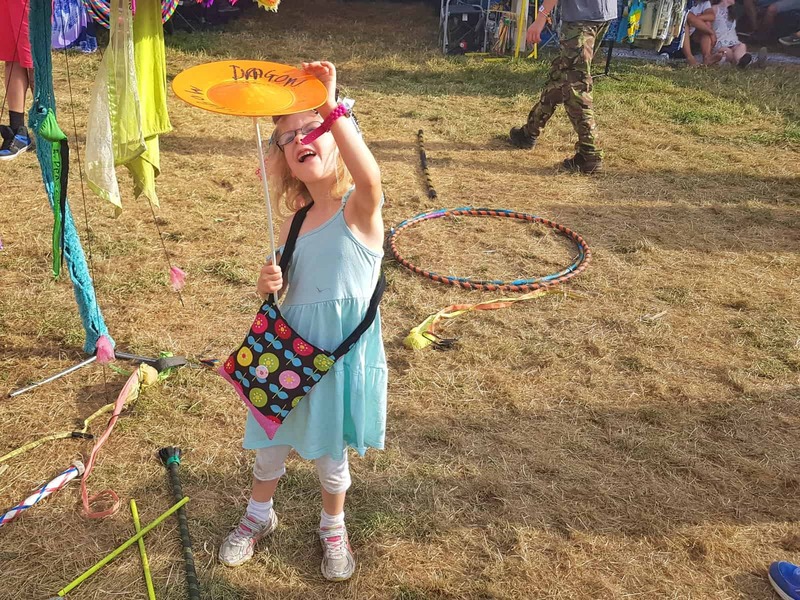 Take your pick of entertainment from the other stages, or escape to the chill area, try out archery or even take part in a life-drawing session. 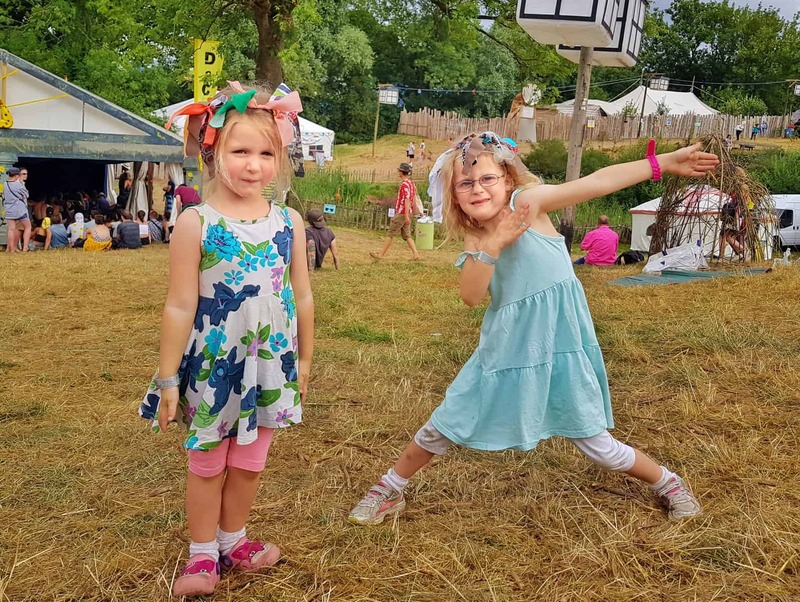 We often take the girls to little local festivals, but we’ve never visited something on the scale of Nozstock. Whilst it looks a little overwhelming from the outside due to the vast campsite, the festival itself is fairly intimate and not at all intimidating. There is a small children’s area called Little Wonderland, where various workshops take place throughout the day. Libby and Lia walked in and immediately immersed themselves in a dance workshop, quickly picking up the steps and joining in. For children feeling a little overwhelmed, there’s a sweet tent with cushions in for them to sit in and relax. Younger ones will love the sandpit and toys dotted around. For my two though, the children’s area wasn’t the highlight. Instead, they loved wandering around the whole festival, joining in with things here and there. Toys and musical instruments were dotted around that they could pick up and play with. Plate spinning, a diabolo, bongo drums or a cornet depending what took their fancy at the time. They listened to someone talking about science and cooked popcorn on a camp fire. They made hair bands out of wire with fabric rags tied to them and jumped around with everybody else while they listened to the bands. Everyone they spoke to was friendly and welcoming and it has definitely given them a taste for festivals. We weren’t able to spend the whole weekend at Nozstock unfortunately, so we just went for the day on the Saturday. Getting there was remarkably straight forward, although I suspect a lot of people had arrived the previous day. We didn’t have to queue to get there or get in, simply arriving and collecting our wrist bands before parking up. There are several camping sections to cater for different things. There’s a live-in vehicle area, a general campsite and a family camping area. Whilst we didn’t stay over, I would have been happy to stay there with the children due to the separate family zone. Alcohol, sunshine and music are freely available so I would fully expect some element of chaos late into the evening. The forethought to put a dedicated area in place for families with children makes it a lot more accessible. Whilst there were clearly a lot of people at the festival, it soaks up the crowds well. We didn’t feel at all claustrophobic or worried that the children were going to get swept away with the flock. There’s a lost-child area, perfect for explaining to little ones where they should meet you if they get lost. Better still, all children’s wristbands have a space for you to write their name and your phone number. 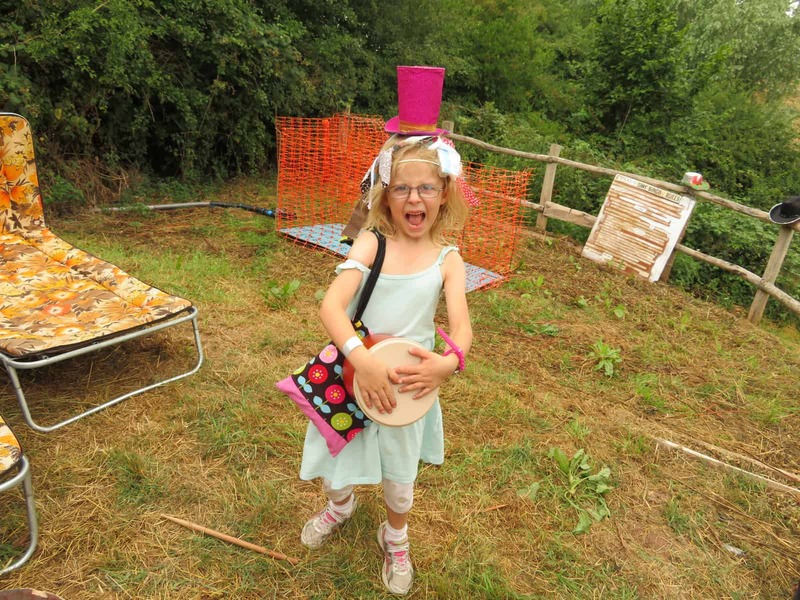 Why visit Nozstock the Hidden Valley Festival with children? Our girls love the music and atmosphere of a festival. 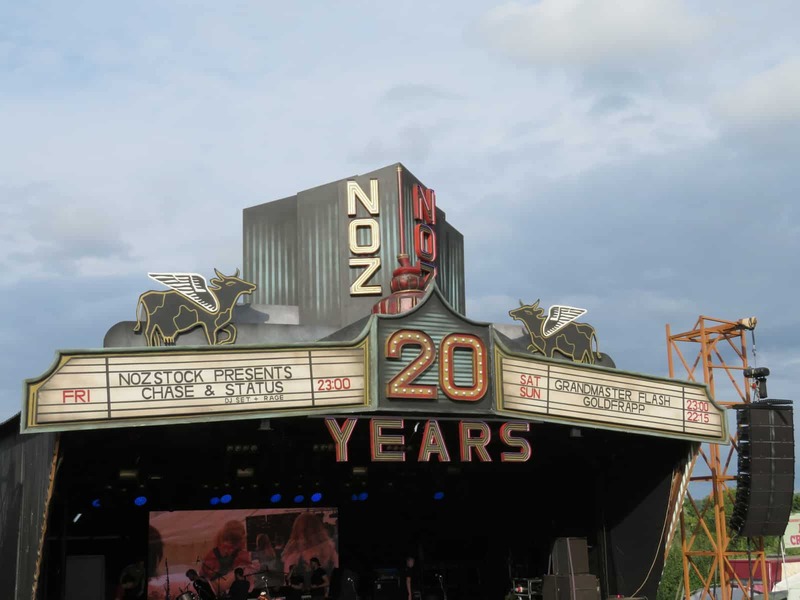 Nozstock has some really big names in terms of acts performing – including Chase and Status, Goldfrapp and the Blockheads to name but a few. And yet, it retains the atmosphere of a small, intimate event. What’s more, tickets are really quite cheap – the 2019 tickets are on sale already at just £105 for Friday to Sunday and children aged 12 and under are completely free. 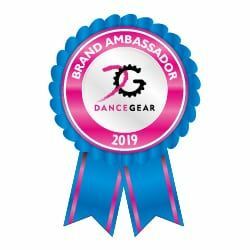 Ideal if you want to try out a festival without paying huge prices or subjecting them to a more intense experience. Libby and Lia ended the day dirty, messy, sweaty and smiling from ear to ear. They danced, ate, drank, laughed, played, made things and made the most of every moment. None of us wanted to go home. It was the perfect way to spend a summer day and next year, we’d definitely go back and stay for longer. Please note, we were gifted tickets to attend Nozstock in exchange for a review. All views, opinions and scruffy festival kids are my own. Sounds perfect! The thought of going to some of the bigger (vast) festivals scares me to death. Not my bag at all but this sounds perfect. Yeah we loved it, I think you’d enjoy it too. 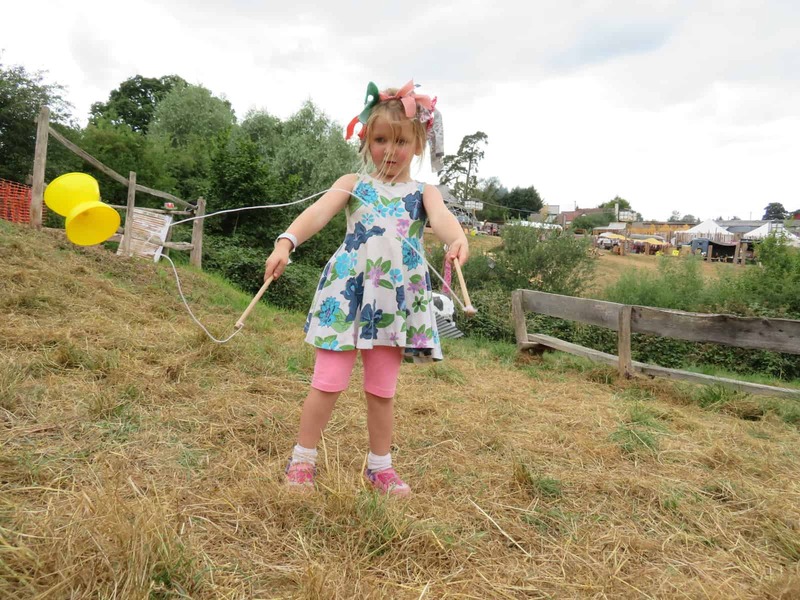 We love festivals and the local ones have been our favourite so far. 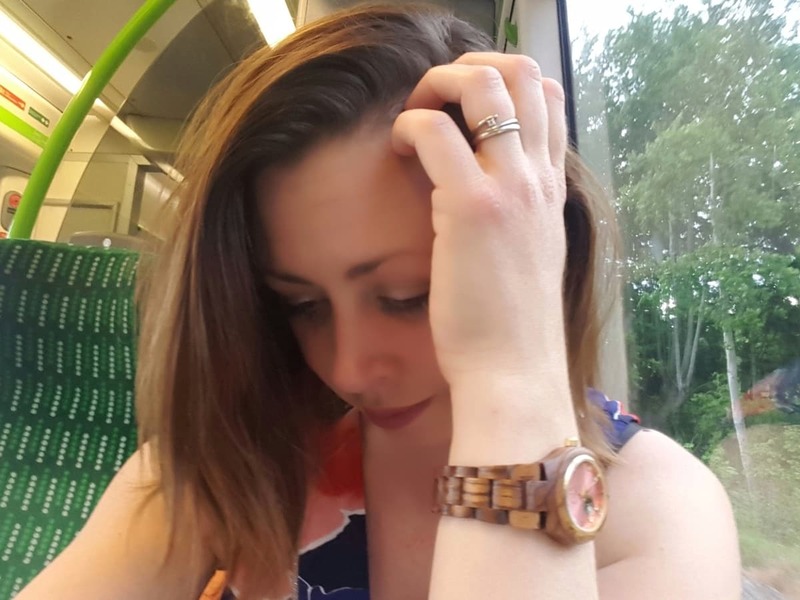 Sounds right up our straight and the 4 of us could go for just over £200 for a weekend of camping – what a result! 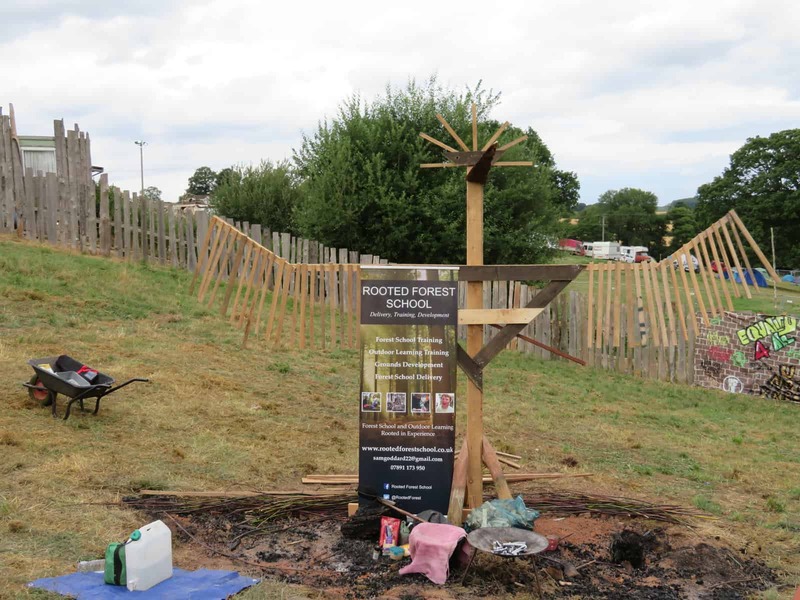 And did I see a forest school?! Yeah I think you and yours would love it Joy. Yep, the forest school was fab! We still haven’t made it to a festival! 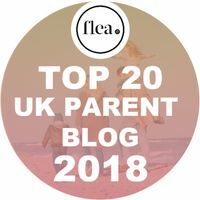 But this looks like a great festival for families! It was fab, you’d love it! It’s brilliant, we’d like to go for longer next year. I’d never heard of it before, I don’t know how I’ve missed it if it’s been going for 20 years! It sounds really good and you can just see how much the girls enjoyed it. It’s excellent value too! Sadly my boys aren’t interested in festivals at the moment, although they would probably want to go to Glastonbury or Reading! Ahh it’s a shame the boys aren’t interested. They may actually like this one when they see the lineup, lots of people my younger bro / sisters have heard of that I haven’t!